One of the most frustrating things as a parent is dealing with behavior. This was not an area that I thought I would struggle in. After all I have worked with kids of all ages since my teens. In my previous life I was a classroom teacher. One strength of mine as a teacher was classroom management. I had a knack for working with challenging students. Behavior was the least of my concerns. I am on the struggle bus, my friends. Saying that I am struggling with my daughter’s behavior is a hit to my pride and not something I care to admit. I want to share this with you because maybe you are struggling in this area as well. It’s important to know that even the most experienced moms struggle with behavior. What is especially difficult are all the voices of well-meaning acquaintances, friends, and family. I hear them saying things like “Well if you would just do this…” or “Well MY kids never acted that way and if they did I would….” and “You just have to keep doing “it” she will eventually learn.” These voices can be loud and confusing. They make me question myself and even more devastating make me doubt my child as if her behavior is an indication of who she really is and not just an outward expression of emotion and learning to be human. My daughter is the true definition of a strong-willed child. Before I had her, I would raise an eyebrow and smile politely when someone used that term. All the while thinking “mmhmm your child just needs more discipline” Boy was I the most awesome perfect parent back then. Looking all the way back to when she was born we could see that she was filled with so much personality from the start. She let us know right away how she felt about being pulled into the world. At a few days old everyone starting commenting on her facial expressions. We thought it was just a baby thing but the older she got we realized that was part of her personality. She will test every boundary you give and cross every line you draw. Her dad and I have had a difficult time with this behavior. Our goal is to raise a respectful and productive member of society. In an effort to reach this goal we found ourselves continually correcting her, fussing at her, and disciplining her. They say that insanity is doing the same thing over and over and expecting different results. My friends, I was slowly going insane. We had to make a change. After a particularly difficult pre-school drop off we decided that we needed to start focusing on all the positive things she was doing. She has so many positive characteristics, and we were missing them because we were focusing on all the things she was doing wrong in our minds. 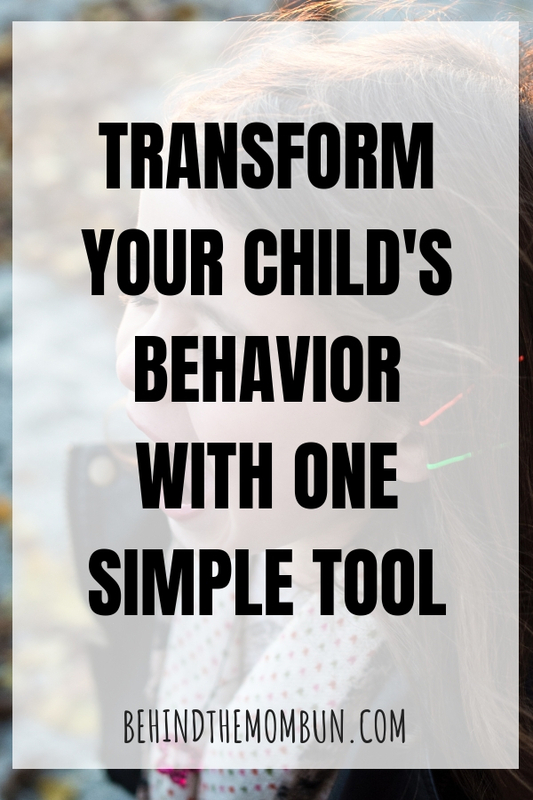 I regrouped and started pouring through my teaching resources for positive reinforcement articles as a means for transforming her behavior. Positive reinforcement is when a reward is given after the desired behavior. I have used this successfully in the classroom and thought it would be perfect for her. Before we could begin, I had to get buy-in from her dad. Understandably one of the first things he expressed was that he felt like we weren’t setting her up for success as an adult. Adults don’t get told “good job” or “you’re amazing” for everything, and they certainly don’t get handed a sticker to put on a chart for a chance to go to the treasure box. These same sentiments were expressed by my student’s parents when I introduced a positive reinforcement chart to them for their kiddo. I reminded him of when were were potty training her we used a chart to help the process. She earned a reward for going to the potty. Eventually, she didn’t need the chart anymore and just went potty on her own. It works the same way when correcting behavior. We will use a chart now to reinforce positive behavior and eventually she will want to do that behavior and won’t need a chart anymore. He understood, and we began to make a plan of action. 1. Talk with your partner and any other relevant caretakers. This could include grandparents, babysitters, and teachers. You will want everyone on the same page. 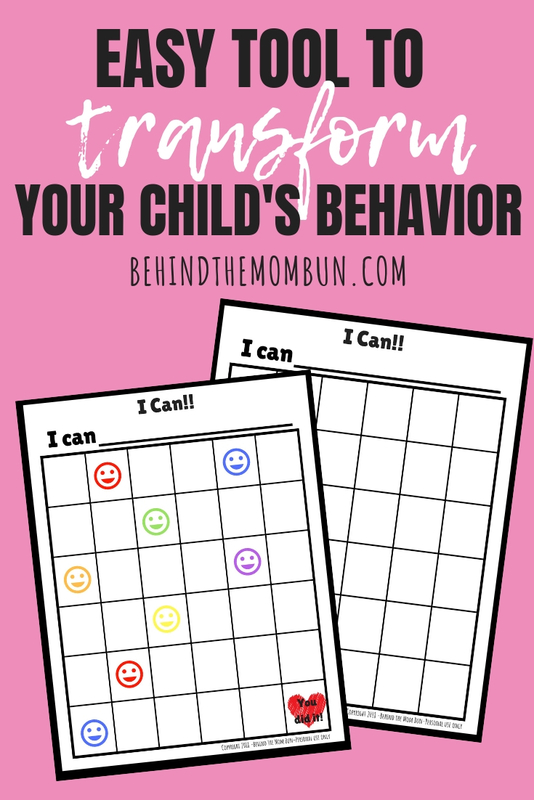 Decide which behavior you want to focus on using the I can chart. Discuss which behaviors are non-negotiable (hitting, kicking, etc.) and which you will let go (for now). While you are correcting unwanted behavior, you can’t focus on ALL of them. Some things you will have to learn to let slide. 2. Choose ONE behavior that you want to change then restate it positively. For us it’s defiance. Instead of saying “You will stop telling us no.” we rephrase it to “I can do what is asked of me the first time.” Use “I can” statements because it puts everything on the child, as it should be. Mamas listen to me. You cannot carry the weight of a child’s decisions. They are individuals with minds, and despite our best efforts they are going to make their own choices. We have to help them choose to make the best decisions. 3. Be clear and consistent. I cannot stress this one enough. Everything from the desired behavior, reward, and consequences for the non-negotiable behaviors have to be clearly stated. Then you must follow through with rewards and consequences. Choose one behavior to focus on and make an I Can statement with it. Discuss the rewards when they get to the next smiley face. Give them a sticker whenever you see them showing the positive behavior. Reward them often in the beginning. Go out of your way to notice the positive behavior. Make a big deal out of the reward. Make the rewards few and far between as the weeks go on until they no longer need the chart for that behavior. If there is another behavior, you want to target, introduce the chart again with another I Can statement. Rewards can be as small or as big as you want but they need to be something that your child is going to work for. I usually do small dollar store rewards out of a mystery box and then pick one BIG reward when they complete the chart. Let your kids know up front what their big prize is. If they are old enough, let them choose their big reward but let them know you still have to approve. Maybe have them create a list of potential big prizes, and then you choose one. With excitement and consistency the I Can chart can be used to transform unwanted behavior. Comment below or email me with any questions you have about the I Can chart and be sure to let us know how it worked for you. Good luck Mamas! You got this!